Twice this week, I had the privilege to hear a young woman testify at the statehouse. The first time was Monday morning, the ill-fated session when Rep Barbieri seemed more than a little unclear about how women’s bodies worked exactly. (Of course, his confusion does not seem to keep him from thinking he’s qualified to make decisions about women’s health care. ahem) The second time was Thursday at a rally hosted by the ACLU and Planned Parenthood. Her testimony is excellent and important and deserves a broader audience than just the people who were there to hear her. 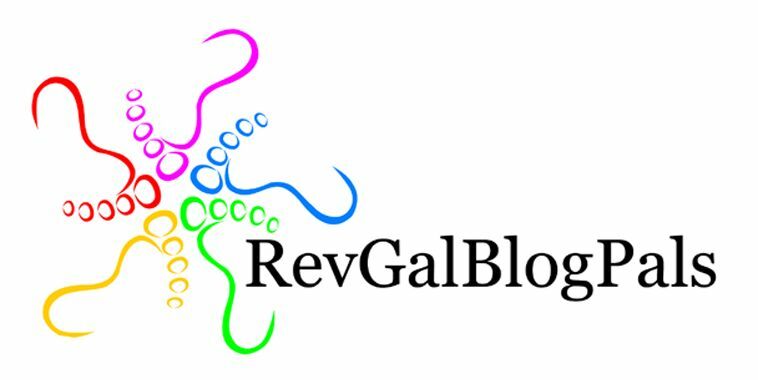 I asked her if I could post her testimony to my blog, and she graciously agreed. So, here it is. I am grateful for 22 year old women who are willing to share their ideas on behalf of others. My name is Lauren Bramwell. I was born in Idaho Falls, Idaho- and raised in Egin, a small rural town in South East Idaho. Usually when I tell people I am from Egin they give me a really confused look, and I then remember that 99.999999% of people have no idea where Egin is actually located. Yet for our purposes today, my goal isn’t for you to be able to locate Egin on a map. Rather, what you should know is that Egin is 195 miles away from the closest abortion clinic in Twin Falls. That a trip to the Boise Planned Parenthood is 322 miles away, 644 miles round trip. What you should know is that a trip to Boise at a $3.00 per gallon gas price would cost me nearly two days of work on a minimum wage income. It is because I have lived in a rural community, and because I believe that a woman’s zip code and her salary should not define her access to care that I stand in opposition to HB 154 and SB 1102. Because as we all know, women’s access to care should never be up for debate. Well, we know that medical and surgical abortion practices are safe and are held to a high community standard. Abortions have been found to be safer than child-birth. Mifepristone and misoprostol have been on the list of essential medicines of the World Health Organization since 2005. There have been more deaths from Tylenol use and Viagra prescriptions than there are deaths from “chemical” abortions. Yet despite these facts, HB 154 specifically targets medical abortion- which only further highlights the bill for what it is- a sham, a political ploy to decrease access in the guise of female protection. And I hate to break it to you Representative Crane and Representative Barbieri, but we aren’t falling for it. We also know that SB 1102 requires unnecessary admitting privileges that aim to shut down clinics and further decrease access. Similar legislation has been deemed as unconstitutional in Mississippi, Alabama, Kansas, Oklahoma and Wisconsin. Yet despite multiple courts recognizing this legislation as unconstitutional, our legislators are forging on to put an undue burden on women’s ability to access care. We all know that a lack of access poses a greater risk to women than abortions. If anything, we know that access to care via clinic or telemedicine should be celebrated in rural Idaho, not pre-empted. In 2011, 95% of Idaho counties had no abortion clinic. 69% of Idaho women lived in these counties. Access to abortion clinics is already limited in our state. As it stands now, women already have to travel far distances for care. Single mothers or women with low wages may have a more difficult time accessing care when considering the prices for childcare and transportation. Thus it is important to realize that this legislation is not only an attack on women, but it’s an attack on low-income women. So we must take stand because we know that access insures a higher likelihood for earlier and safer terminations- a right that should be available to all women. Finally, we know that this bill is an intrusion in the doctor-patient relationship. I am shocked that a state that prides itself on conservative values is willing to allow such an invasion on privacy and personal autonomy. These two bills deny women their legal right to terminate a pregnancy safely, early, and in accordance with their health care providers’ advice. These bills do not offer protection; they offer restrictions on women’s right to privacy under the due process clause of the 14th Amendment. Thus, we must stand in opposition to these bills because women are competent persons, capable of rendering their own health decisions. Women should be able to have the option to have a less invasive method of ending pregnancy in a setting where she is most comfortable. These bills stand as a manipulative and unnecessary barrier to that decision. So together, we will take a stand. We will take a stand to show that women’s access to healthcare, and her ability to render her own decisions about her reproductive health is not and should never be a partisan issue. Together, we will be a chorus of reason: a voice for women’s health, women’s access, and women’s personal autonomy. We will be a voice for constitutional rights for women in Salmon, Filer, Ketchum, Elk City and yes- Egin too. And I’ll tell you what, our voice, this chorus is one that I couldn’t be more proud to be a part of. 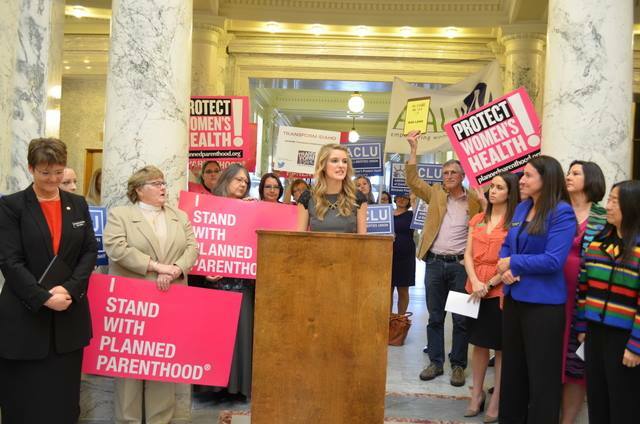 February 27, 2015 in abortion, Idaho Legislature, Idaho Politics, Lauren Bramwell, Reflection, religious freedom. Excellent speech. Don’t forget opportunity cost in your calculations of the expenses of a trip to the city.